Fri., Aug. 3-Sun., Aug. 5. Single-day tickets $10-25, weekend passes $45-130. Perhaps it's a tad macabre to name a music festival after a natural disaster that killed thousands, but let's be fair: The great flood of 1889 is what Johnstown is known for. Still, if Shelley Johansson of the Johnstown Area Heritage Association has her way, the AmeriServ Flood City Music Festival may soon be the second most famous thing about the Cambria County town. "Last year, we had around 12,000 people in attendance," Johansson says. "And this year, I think we're gonna do better." The park lies in the middle of town ("You literally cannot miss it," Johansson insists), up against the Stone Bridge, a good representative of Johnstown's past and present. The Stone Bridge, on which three railroad tracks run, was the site of some of the most horrific scenes of the May 1889 flood. As the deluge rushed down the Little Conemaugh River into Johnstown, the water — and all the debris it had collected, including entire houses — hit the bridge, and the solid debris clogged the arches of the bridge. The debris caught fire, and many who had survived the rush of water died in the inferno. The Stone Bridge today is covered in concrete. But as of last year, it's covered in something else: LED lights that the JAHA sets and resets to create a light show every evening. "The display changes seasonally," explains Johansson. "On July 4, it's red, white and blue, for example. We program it for different holidays and events; the idea is to be inclusive, meaningful and also fun." One could say the same for the Flood City Music Festival. 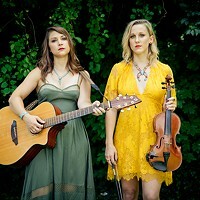 The festival's history goes back to the early '90s, when the National Folk Festival, which travels from city to city in three-year blocks, took up residency in Johnstown from 1990 through 1992. After that organization moved on, the JAHA began producing the Johnstown Folk Festival — which became the Flood City Music Festival in 2009. The festival had become much more than folk music by then: The mid-2000s saw lineups that included soul (Sharon Jones and the Dap-Kings, 2005) and world dance music (Balkan Beat Box in 2006, Slavic Soul Party in 2007). Roots rock is always well represented. Last year, the JAHA handed over the booking reins to Grey Area Productions, the company that runs the Rex Theater and books for other Pittsburgh venues. 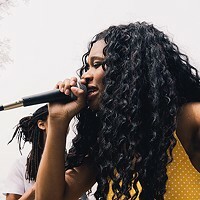 That Pittsburgh connection seems to have solidified the commitment the festival already showed toward booking regional talent, including plenty of Pittsburgh bands, alongside the big names. This year, locals playing Flood City include Billy Price, Jimmy Adler, Backstabbing Good People and the Mon River Ramblers — all of whom have played the festival before — plus newcomers like Jazzam, The Harlan Twins and Gypsy and His Band of Ghosts. 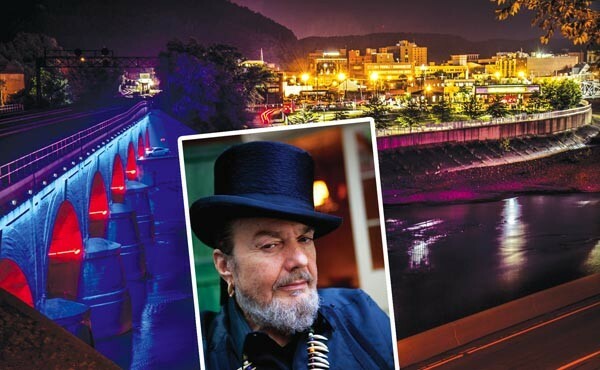 This year's biggest festival name is undoubtedly Dr. John, the Rock and Roll Hall of Fame inductee who brought New Orleans voodoo, roots and psychedelia together in the 1970s. His latest, Locked Down, was released earlier this year to critical acclaim with help from The Black Keys' Dan Auerbach. He and his band, The Lower 911, play Sat., Aug. 4. Headlining Friday night, Aug. 3, are The Smithereens, the band that became well known in the mid-1980s for combining dark melodies with twangy 12-string electric guitar. Sunday's marquee act is Del McCoury, one of the biggest names in contemporary bluegrass. 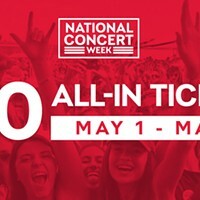 Other notable names on the bill include Yellow Dubmarine — the band that plays reggae covers of Beatles songs, of course — on Sunday, and returning favorite Anders Osborne on Saturday. Also playing Saturday: Royal Southern Brotherhood, featuring Cyril Neville and Devon Allman, who have each played the festival in the past with other bands. Neville, of the famed New Orleans Neville Brothers, has played with Dr. John before — and, while no guarantees can be made, it's true that these big-bill shows sometimes end up begetting some collaboration. "In 2010, Billy Price played, and Los Lobos was headlining," recalls Johansson. "They liked Billy so much, they brought him back out to jam with them when they played. How great was that for our audience? "That's the kind of thing that festivals bring out."